Early in American history, the federal domain was largely regarded as a resource that should be passed into economic production and used to foster European settlement as quickly as possible. After the Revolutionary War, Congress passed a number of measures to facilitate the transfer of federal public lands to private citizens and businesses to facilitate rapid occupation and productive use of the frontier. Over time and as intended, these citizens settled the West, organized territorial governments, and eventually entered these governments into the Union as new states. As these changes occurred, there was a shift in thinking around the lands that remained in the federal estate. Much of the land that was left in federal ownership by the mid to late 1800’s was too rugged, too arid, or not economically valuable enough to be claimed by settlers or extractive industries. Also, the increased exploration of the West by artists, photographers, and writers resulted in the public imagination being captured and inspired by the images and descriptions of the breathtaking landscapes, wildlife, and cultural resources of the region. A growing national conservation ethic, coupled with reports of resource abuses by industry or fraud by would-be land barons under the Homestead Act, led to the adoption of policies supporting the long term retention and management of public lands by the federal government. During the late 19th and early 20th centuries, some of the remaining lands in federal ownership began to be organized into forest reserves, which would later be transferred to and managed by the U.S. Forest Service (USFS), and into the scenic and recreational parks now managed by the National Park Service. These actions preserved some of the most iconic landscapes in the West. Much the remaining land, primarily grasslands, scrublands, and arid desert, fell to the management of the Bureau of Land Management. A smattering of other special designations are also managed by various federal agencies – for example, the Wildlife Refuges managed by U.S. Fish and Wildlife Service (USFWS). After a century of ever-increasing value being placed on conservation of natural landscapes for wildlife protection, recreation, ecosystem services, and quality of life, the idea of the federal government disposing of large amounts of public lands has become, for much of the American public, an unthinkable concept. Acquisition of additional lands to be protected as parks, recreational areas, wildlife habitat, or scenic amenities has widespread popularity. However, just as there are proceses that enable federal public land managers to acquire lands to add to the federal estate, there are also processes in place to provide for the disposal of federal lands into private hands. The various federal land management agencies have very different acquisition and disposition authorities. For the National Park Service, the agency does not have the authority to either add lands into the national park system or to dispose of park lands. Any addition or removal from the system must be either approved by Congress or occur through the establishment of a national monument by the President of the United States through proclamation. The USFWS has authority to acquire lands, but may not dispose of the lands that they manage without approval of Congress. USWFS may add lands to the National Wildlife Refuge System through the Migratory Bird Treaty Act of 1929, which authorizes the Secretary of Interior to authorize purchase of lands after consultation with and approval by relevant state and local government officials. The Secretary of Interior may also withdraw certain lands from the public domain, with Congressional approval, for management as wildlife refuges under provisions in the Endangered Species Act, and other fish and wildlife laws that authorize such actions. That being said, the amount of lands managed by the National Park Service and USFWS are relatively small. The primary focus of federal land acquisition and disposition falls to the two largest land management agencies – the USFS, which manages nearly 200 million acres, and the Bureau of Land Management (BLM), which manages over 245 million surface acres. 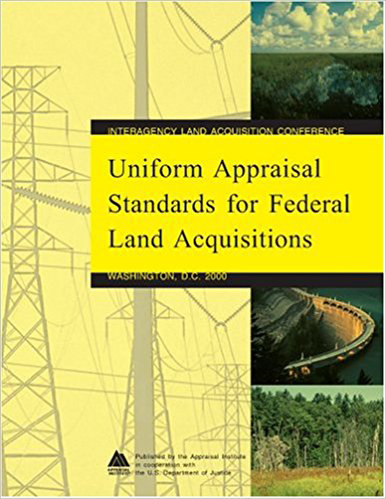 The acquisition and disposition of federal public lands by these two agencies is largely governed by the 1976 Federal Land Management Policy Act (FLPMA), which lays out the rules and procedures for federal land inventories, exchanges, acquisition, and sales. In general, all federal land management agencies may accept gifts or bequests of land to the agency and, in extremely rare cases, may exercise eminent domain and acquire land while providing compensation to the landowner. Because there are few, if any, BLM lands within the Verde River watershed, the focus in this section will be on the land acquisition and disposition capabilities of the USFS. While new national forest units may only be established by an act of Congress, the Secretary of Agriculture may acquire the following categories of lands: in-holdings within existing national forests; lands that are contiguous to the boundaries of existing national forest units; private lands adjacent to or within wilderness areas managed as part of national forest units; and lands along wild and scenic river corridors occurring within national forest units. This has been a useful provision, as USFS lands contain a large number of in-holdings that can present management challenges for the agency. The funds to support land acquisition are primarily derived from the Land and Water Conservation Fund (LWCF). The LWCF was established by Congress in 1965 to direct $900 million in revenues gained from oil and gas royalties from offshore drilling and exploration to support natural resource protection, recreation, and cultural heritage. It is one of the few sources of federal land acquisition funds; however, the LWCF has not received its full appropriation from Congress in many years, and as a result, there is a significant backlog of worthy federal land acquisition targets. The USFS can dispose of lands through multiple avenues, although their discretion is relatively constrained when compared with the BLM. The USFS can engage in land exchanges, trading one parcel or set of parcels within the national forest system for non-federal lands. Constraints on the USFS land exchange authority include requirements that any exchange must found to be in the public interest, that the exchange must involve land that is in the same state and within the boundary of an existing national forest unit, and that the non-federal land acquired must be chiefly valuable for national forest purposes. Land exchanges have a somewhat checkered history in the western United States, with many members of the public skeptical that exchanges, which can sometimes result in windfalls for private interests, actually serve the public interest. They are commonly used to consolidate land holdings, particularly in checkerboarded areas that make land management difficult, or to resolve issues with in-holdings. Land exchanges may occur administratively, or through the legislative process via an act of Congress. Administrative land exchanges, which are handled internally to the land management agency and the entity with whom they are exchanging lands. A rigorous and time-consuming process, including resource inventories, appraisals, feasibility studies, and public notice and comment, must be followed in order for an administrative exchange to move forward. A single exchange transaction can take years to complete. Legislative land exchanges can move more quickly, and generally rely on negotiated terms designed to gain sufficient support to move through the political decision making process. This process is typically preferred for complex exchanges that would otherwise get bogged down in the administrative process. However, in both paths to conduct an exchange, input and feedback from local communities, organizations and private citizens is accommodated either through an agency comment and review process, or through discussions with elected leaders. The range of other authorities granted to the USFS for land dispositions involve relatively small tracts of land, but can nonetheless have significant consequences for local communities adjacent to or within a national forest unit. For example, the Small Tracts Act gives the Secretary of Agriculture the ability to dispose of up to 40 acres of USFS land if the following conditions are met: the land is not appraised at a value greater than $150,000; and the land is disposed for the purpose of relieving encroachment, resolving boundary errors, or disposing of small areas of federal lands surrounded by nonfederal lands. The Townsite Act is an obscure and little used authority that allows the Secretary of Agriculture to transfer up to 640 acres of forest lands for townsites if the local community can demonstrate that its needs outweigh the broader public needs served by continued federal ownership of the land. The land, in these cases, must be sold to the local government at fair market value. Lastly, the Education Land Grant allows the USFS to transfer up to 80 acres to a public school district for educational purposes upon written application by the district and payment of a small sum. In reviewing the Land and Resource Management Plans for both the Prescott National Forest and the Coconino National Forest, the discussions concerning land adjustments (i.e. sale, exchange or acquisition of land by the USFS unit) are limited to broad discussions of support for open space and continued watershed health and function. Specific lands have not been called out for either acquisition or disposal, so it is unlikely that there will be significant impacts to the Verde River watershed as a result of federal land sales sought by the agencies. However, not all land transactions are initiated by the federal land management agency, and may instead arise from private interests pursuing the sale. But, in most cases, major land dispositions that involve federal public lands will go through an extensive public review and input period, which provides an opportunity for local communities and residents to express their interests regarding the transaction.